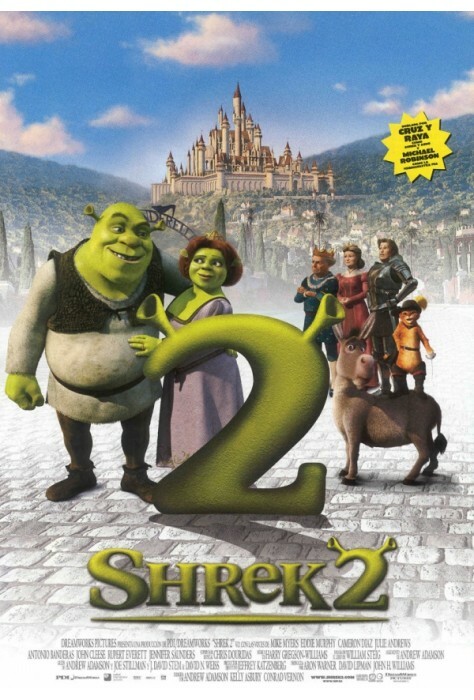 " learning language through film "
Shrek 2 picks up right where Shrek ended. Shrek and Fiona return from their honeymoon to find a letter from Fiona's parents inviting the newlyweds over for dinner. The only problem is that they have no idea that their daughter is now an ogre. When Shrek and Fiona go to her parents for dinner, the Fairy God Mother discovers that Fiona and Shrek are married. She reminds the king about a deal they agreed on years ago that Fiona would marry prince Charming (her son). 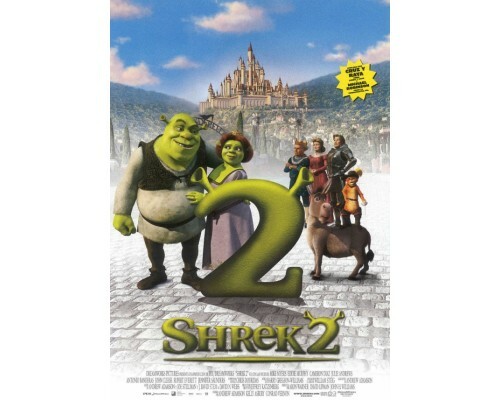 The king then hires a cat named Puss-in-Boots (a sword fighting cat and ogre slayer) to kill Shrek. 2004, 92 minutes, MPAA rating: PG, video in English, DVD in English, Spanish or French with subtitles in English, Spanish or French.